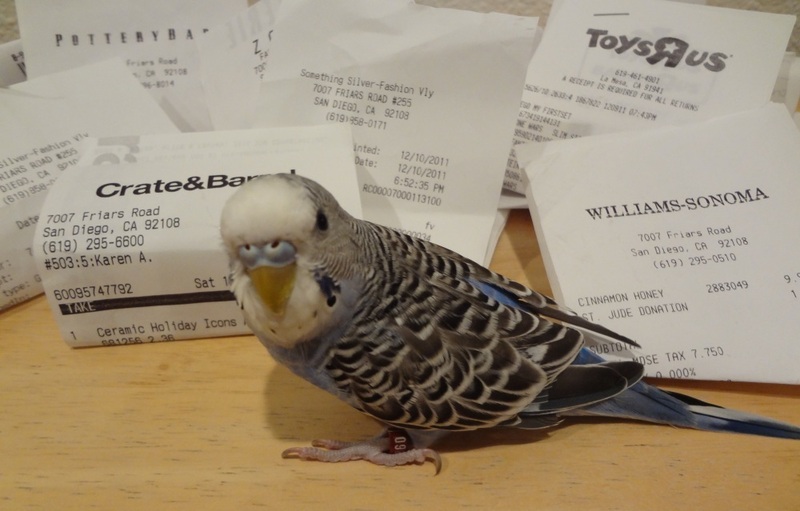 This entry was posted in Holiday Fun and tagged bills, budgie, Cooper, credit card, holiday fun, parakeet by Michelle M.. Bookmark the permalink. Well, at least he has good taste and seems to be buying house accessories .. and toys. Did he buy me something from Toys R Us? I love him! It’s about time you got over here! Cooper’s range of emotions in pictures is astounding! Why isn’t this bird a star?!? Beats me. He’s definitely got “it”.